Here are some of the books that I have read recently or that I am currently reading. The Kindle along with the fact that I was taking the bus to work for awhile really got me back into reading. The books I have recently read are Kindle books so while I do link to the author's website in some of these links you can download them at Amazon.com. I ran across this series recently and really enjoyed it. It is following the career of a new officer, Junior Lieutenant Michael Helfort, assigned to a scout spacecraft. During a battle the senior officers are killed leaving him in command and he performs with exceptional skill. The books are following his carrer as he rises to each challenge thrown at thim. I enjoyed the books I have read and I am looking forward to the next book. Ian Douglas has started a new series called Star Carrier. Earth has made contact with aliens and they are not friendly. The first book follows a number of people but one is a fighter pilot based on a star carrier. The book is enjoyable but I liked the first series better. I will probably read the other books as they come out and they might change my perception. These books comprise the "Starfist" series. This series follows the exploits of a platoon of the 34th Fleet Initial Strike Team (FIST). The platoon is sent to battle on a number of worlds but during one deployment they run into an alien force they call the "Skinks". The Skinks are a race that appear to be a cross between amphibians and humans since they have gills and lungs. The Skink society resembles feudal Japan with faster than light ships and excellent weaponry. They are the first alien species that the human race encounters. Because of this the platoon and the navy ship that transports them are isolated and their tours of duty extended indefinitely. There is much more that happens but suffice to say that this series will be enjoyable to those that enjoy military science fiction. There was Force Recon series that was started and had three books published. These books comprise the "Vatta's War" series. A military academy student is cashiered from the academy for reasons that are not actually her fault. She is from a wealthy family whose business is interstellar cargo. She returns home and is given command of an old cargo ship and from that point things begin to happen that ultimately lead to her commanding an interstellar fleet that fights a pirate organization that killed her parents. Others have said these books are reminicent of Robert Heilein's books like Starship Troopers and Podkayne of Mars. I agree and I have no trouble recommending these books, particularly to younger readers. Ian Douglas was another author I found recommend with a science fiction and military theme. The first three books starting with 'Semper Mars' comprise the Heritage Trilogy. The next three books starting with 'Star Corps' comprise the Legacy Trilogy. The final three books starting with 'Star Strike' comprise the Inheritance Trilogy. Note that I listed the books beginning with the most current. The series premise is that our planet was visited by a star faring species and they modified our ancestors as well as took some of our ancestors. This is discovered from information on the site on Mars. The series follows a number of people and their ancestors over hundreds of years. I wanted to start reading some more science fiction and looked for something that incorporated a military theme similar to Robert Heinlein's Starship Troopers. John Scalzi was one of the authors mentioned and I started by reading "The Ghost Brigades". I read it first but would recommend that anyone starting this series read "Old Man's War" first. The basic premise is that an interstellar government's military force recruits people from Earth who reach the age of 75. Their consciousness is transferred to cloned versions of themselves with genetic modifications to allow them to be better soldiers. I think anyone who enjoys classic science fiction will enjoy this series. W.E.B. Griffin is an excellent author. Many years ago I read the books in "The Brotherhood of War" series. They are currently not available on the Kindle but I would definitely recommend them to anyone who likes books about the military. His newest series "The Presidential Agent" is one I am looking forward to reading. I read Vixion 03 many years ago and really liked it. However, I did not spend further time reading additional books from Clive Cussler. I started reading some more of his books and have found them to be very enjoyable. I have gathered list of authors that other people recommended recently and David Poyer was on that list. I generally like to start at the beginning of the series but unfortunately not all of his novels are available for the Kindle yet. I have always had an interest in the Navy and David Poyer's books have given me a taste of that world. All the novels I have read so far have been fantastic. I definitely recommend them. In a forum someone asked about something new to read since he had finished Vince Flynn's Mitch Rapp series. I was thinking the same thing and saw Brad Thor mentioned. His Scot Havrath series of books are excellent. My only gripe is how often Scot gets caught at predictable points. Other than that I love reading his books and look forward to the next book in the series. This is was a very good book that I just happened to hear about on a forum at Amazon.com. Since I am interested in science and science fiction it got my attention. 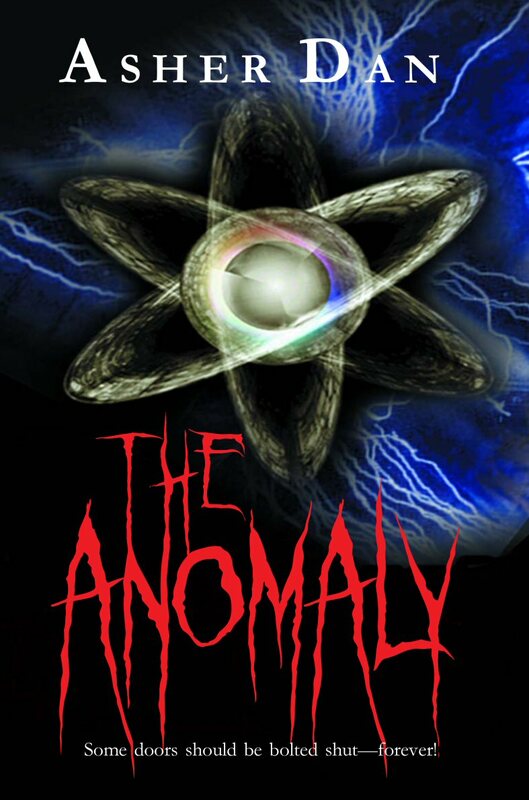 The novel grabbed me from the moment I started reading about something going wrong at Fermi National Accelerator Laboratory and openings to what appears to be other worlds in other dimensions. The plot kept me interested to the very end. I wrote the author asking to be notified when the sequel is released. Asher Dan responded that he planned to pull this novel for a rewrite. I'm certainly not a professional reviewer or writer but I do know what I like and I definitely liked this novel. He was kind enough to provide me a copy of his cover to use here. I am looking forward to his rewrite and the sequel. I would recommend this book to anyone who has an interest in science or science fiction. He plans to pull the book from Amazon.com in the near future for the rewrite so look for it again later if it is not there. I will be sure to update this site when it returns. He also has a short book called How To Publishing Anything On Amazon's Kindle. I am not a writer but I found it to be enlightening. It is inexpensive and provides some very useful information based on his experiences publishing his novel on the Kindle. If you are interested in how you would publish something you wrote on Amazon's Kindle this is a great little guide. I was given a copy of Act of Treason and was going to start reading it. I did a little background work on the book and found it was part of the Mitch Rapp series. So I downloaded and read the series. I always enjoy thrillers and these did not disappoint me. If you want to sit back and just loose yourself; these novels will fit the bill. I was looking for the authors books for the Kindle and somehow missed that it was available for the Kindle. I sent a note to the author and he kindly responded that Rolling Thunder was available for the Kindle and the others will be released soon as well. Needless to say I downloaded it and will be rereading the series as they become available. I grew up as an Air Force brat and always was interested in aviation. Court Bannister, Toby Parker and Wolf Lockhart are the primary characters. Mark Berent puts you in the cockpit and it is genuinely exciting to read the air combat sequences. He paints a picture of Vietnam from the perspective of those who volunteered and fought valiantly in spite of being constantly put at a disadvantage by poor leadership locally and in Washington D.C. His background as fighter pilot with tours of duty in Vietnam give him the unique ability the reality of Vietnam to his books. I truly enjoyed these books and I highly recommend them. I have this book in hardback but have not gotten a chance to read it. I downloaded for the Kindle and will read it shortly. Larry Bond is one of my favorite authors. I regret that I did not start reading more at an earlier age. I remember trying to read a few books that were clearly too advanced for me when I was in grade school. My father had a manual on Celestial Navigation from the U.S.A.F. I tried desperately to read it but gave up when I finally understood that I just did not have the necessary math background. I also tried reading Dune as child because my mother was reading it and said she really liked it. Again, it too much for me at that time. I always enjoyed books occasionally but it was in high school that I really started to read. I had become very interested in World War II from the many movies made about it. It was natural that I would begin reading more about it. So one of first large books I read was The Rise and Fall of the Third Reich. I was fascinated with the details in it and devoured over a period of 2 weeks. That was pretty good for me at that time. I also was interested in science in school. I began to read science fiction when I picked a book to read in one of my high school classes. The book was Against the Fall of Night by Arthur C. Clark. This along with a class on speed reading got me started reading science fiction regularly. I began to subscribe to Analog magazine just after John W. Campbell left and Ben Bova started as the editor. I read Analog all through high school. I found they are now available on the Kindle and have established my subscription again. When I entered the Army I read on a regular basis. I subscribed to Science Fiction Book Club for a few years. I read James Michener novels from cover to cover. I finally got a chance to read Dune while on field exercise. We were supposed to be the opposing force (OPFOR) but the weather got bad we spent several days lying around under poncho tents waiting for the rain to end. I finished it during those rainy days and loved it. I have since continued to read regularly. I have read biographies, history and factual books. I am not as well read as many people. I am partial to techno-thrillers as well as classic science fiction. I read technical books and try to read other books that people recommend to me from time to time. My favorite authors, in no particular order, are Arthur C. Clark, Robert Heinlein, Isaac Asimov, L.E. Modesitt Jr., James A. Michener, James Clavell, Tom Clancy, Larry Bond, Vince Flynn, Mark Berent, Stephen Coonts, Dale Brown, W.E.B. Griffin and Clive Cussler. Preparing this webpage really brought back memories so I am certain I will have to update it regularly as remember more and read more. I am going now try and list some of the books I have read over the years. Certainly I will have forgotten many but it seems useful to start a list. The Fires Of Paratime - L.E. Modesitt Jr.
Timegod's World - L.E. Modesitt Jr.